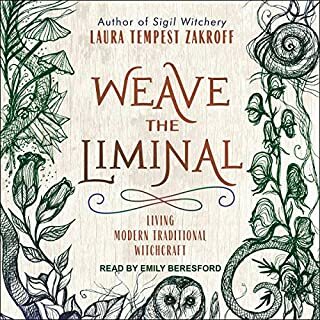 For the first time in more than a decade, Grimassi introduces listeners to a new system of witchcraft, one that draws upon the old ways and the old days to teach the practitioner how to master all that it is to be a Witch. 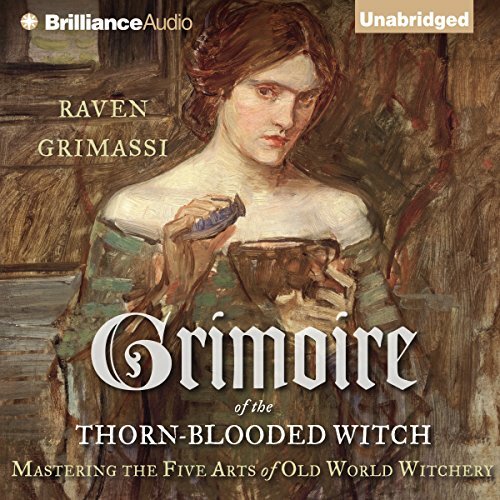 Chock full of spells and rituals, Grimassi takes listeners deep into the woods to learn the secrets of the Thorned Path. Here we meet the entities that dwell deep within the organic memory of the earth - the devas, the deities, the magical life force behind the surface of the wooded glen. Chapters include Plant Spirits of the Green Realm, The Rose and Thorn Path of Witchery, Works of Magick, The Old Ones, and The Old Rites. As practical as it is enchanting, this audiobook will show students of witchcraft the ways of the Thorned Path. ©2014 Raven Grimassi (P)2014 Brilliance Audio, all rights reserved. This book was very enlightening. Gave a different way of thinking and doing ritual. No Wiccan practice at all which I appreciated because I'm a Witch not Wiccan. It's hard to find anything out there now that speaks of the Old Ways without mentioning Wicca. I've got nothing against Wicca, but I'm trying to find books and information that goes deeper and farther and this book does it. I thoroughly enjoyed this book and would highly recommend this book to anyone wanting a deeper knowledge of the Old Ways!! No amount of speeding it up could make the narrator stop droning on and on. It was awful. The content was ok, but unsubstantial and with little historical fact. Hardly worth having to listen to the narration. Wound up returning. The first question anyone would likely ask is, "Why did you read this book?" A fair question. I like to consider myself open-minded enough to read a great many things. I'm constantly comparing religions and mythologies, both as a spiritually-minded type and as a writer who never knows where the next idea will come from. When I was 8, I found rituals on how to become a werewolf, and I've been looking at stuff like this for the sheer fun of it ever since. That said, I was rather intrigued by the title and book description. 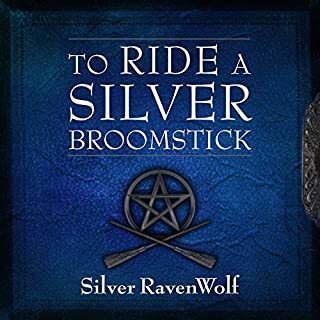 Having known my fair share of both old world witches and modern wiccans of a variety of different religious flavors, I feel confident that I'm at least conversational in these circles, and this aroused my curiosity. With apologies to the modern practitioners who will buy it completely, and I'm sure some will get plenty out of this, I found the ideas far better than the rituals themselves. It's a personal bias, obviously, but I'm forced to wonder why old world plant spirits would want be summoned through English rhyme given everything that humanity has done to scorch our planet. Offering 3 drops of blood just doesn't really seem enough. Or maybe I've read too many Batman comics featuring Poison Ivy. Who can say? Either way, this is hardly the complex high magick of Solomon and his lesser keys. Is it old world witchery? Not even remotely close, unless your idea of "old world" is 1954. Read enough books on any given topic, and you learn to separate the wheat from the chaff, expert or not. It seems to me that changing the primal points of Gardnerian Wicca to something that seems even more primal (and probably isn't) does not an ancient magickal system make. But it does line up with some of the new age stuff I've seen from the Gardnerian camp. Don't get me wrong, it's an interesting new coat of paint, but that's essentially all it is. The idea behind all of this, being respect of the planet and its bounties, is a good one for spiritual philosophers to ponder. And the rest is a pretty decent grab bag for writing prompts. Having recently gone back through Tolkien's The Lord of the Rings, it puts me in mind of the Ents, just on perhaps a smaller scale. I have been going through a number of books attempting to learn all I can about witchcraft and Wicca. This title was one of the later books that I came to, but, unfortunately, the information contained within was less than satisfying in an inquisitive sense. The first part of the book is full or circular statements that seem to introduce a topic but never really get around to answering the questions that arise. The second part of the book has some very thoroughly explained rituals, but after those have been gone through the book ends quite abruptly. I will admit that I was looking for information more along the Wiccan path, so some of the items contained herein were a bit more... Intense that what I was trying to find. With that said, I certainly came in with an open mind and found a few ideas that I thought were good teachings, but mostly I found the majority to be a bit more than what I needed. 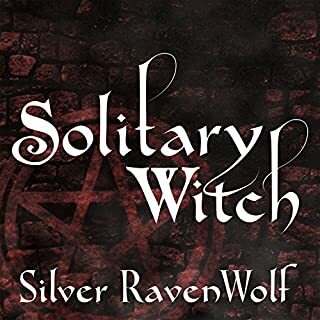 Overall, if you are looking for Wiccan material or you want to be able to get something more information outside of the rituals listed and a few coherent ideas, I would recommend skipping this title altogether. This book gives an abundant amount of refreshing material. The ideas and experiences are from the perspective of a writer who, firsthand, translates his personal path of 'treading the mill' and 'white round' of the Old Ways of 'Bone and Stone'. I love the discrete undertone of Grimassi's writings, especially as an analytical student and practitioner. Grimassi also provides direct invocations and evocations for pathwork and seership, along with encouragement to use one's own creativity. This book is a valuable asset for any student, practitioner, or curious mind, as it opens portals to universal consciousness long forgotten. Personally, working with these teachings requires thorough discipline of the will, continuous, unwaivering effort, and an open mind. Then, one is definitively lead to the attainment of the aforementioned portals. In addition, dedication, discipline and commitment always give way to connect with the spirits, as well as the specific spirits of the Greenwood Realm. This grimorie, written from the heart of Mr. Grimassi, is a beautiful journey requiring dedication and a daring nature to attain all tangible and intangible lessons. And, yes, these universal teachings, as Grimassi mentions, are not aligned with any specific tradition; therefore, one must approach this path with an open mind, spirit, heart; and, definitely, all of one's senses!!! It will inspire you! Read it cause it's way better then most witchy books out there plus the man that reads it has a very interesting voice thats soothing. It tells you exactly what to do if you want to connect with certain spirits or plants! Narration is so hard to follow! I enjoy the book, I think, but I will have to read the ebook or a hard copy. The pace was so choppy and strange I couldn't follow what was being said. This certainly is not Wicca, but nowhere does Grimassi claim it to be. I loved this book from start to finish! it's an entire practice that can be adapted to groups or families. 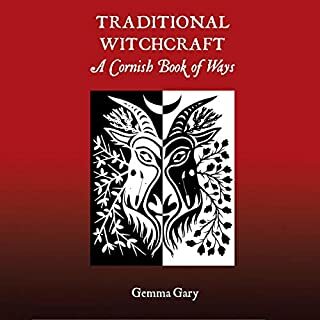 the bonus 32 page pdf was wonderful and provided some great ceremonial magic resources for this tradition of grey WitchCraft. I want to read many more books by Grimassi now!!!! 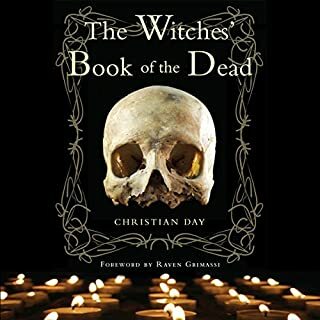 It's a very good and informative book overall but I'm not much into following other people's rituals or spells so it was boring when those parts came up. Otherwise I recommend it. So good, I bought the actual book. You'll love it. I bought the actual book after the audiobook. 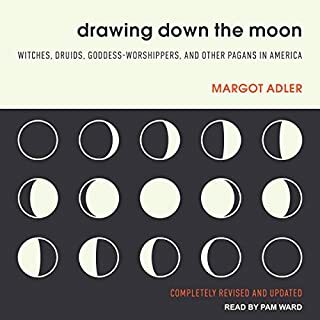 In a world of cookie cutter Craft Authors, this was a very interesting take on an old druidic religion. Wonderfully done.